Garrett Reid, son of the Eagles coach, died of a heroin overdose. Authorities have identified the substances in some of the vials as steroids, sources said. One source requested anonymity because that person is not authorized to release the information. [Northampton County district attorney John] Morganelli previously said that while Reid had prescriptions for several medications in his dorm room, he did not have any prescriptions for steroids. Reid also lacked certification to handle steroids, Morganelli has said. 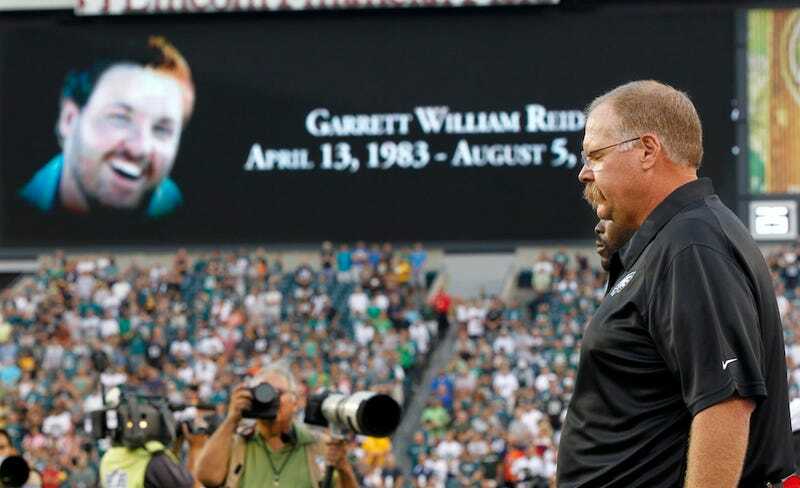 Garrett Reid had been working as a strength and conditioning coach for the Eagles. Morganelli is scheduled to hold a press conference at 1:30 p.m. (EST), but the Express-Times also says "he will not address the vials" at that time. Update (1:40 p.m.): Per Jason Nark of the Philadelphia Daily News, Garrett Reid possessed four different kinds of steroids, which Nark described as "strong chemicals used for bodybuilders." Nark added that Morganelli said there was no evidence Garrett Reid had given steroids to other people.